Reconcile Monthly Bank Account Quarterly Statements, Owner Only Payroll, Less than 75 transactions monthly, Prepare AND File Corporate and Personal Returns. incorporated or organized as Limited Liability Company. See a plan you like? Contact Us! *Quickbooks accounting software is billed separately depending on practice management. *Third Party Payroll services are billed separately. ** All plans are automatic pre-billed for 1st of Quarter in Advance. $# If Payroll is required –Client Direct billed and additional charges will apply for management of inclusion into financial records. !! If Schedule H is required for personal return there is a $400 additional charge. 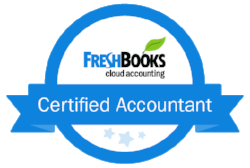 $$- If you need more in depth accounting with Chart of Accounts, Bank Reconciliation, Reports and Payroll for your Self Employment or Single Member LLC please be advised that there is additional charges for Quickbooks SimpleStart, Essentials and Plus. 1099 Accountant LLC if sees a need for client to change organizational structure will recommend and will ask owner to review proposed change with their legal counsel- Incorporations or Limited Liability Company either as Flow Thru or traditional entity.